How To Schedule Your Sessions. Time management in scheduling is a critically important topic and effects how much money you make for the time you work. 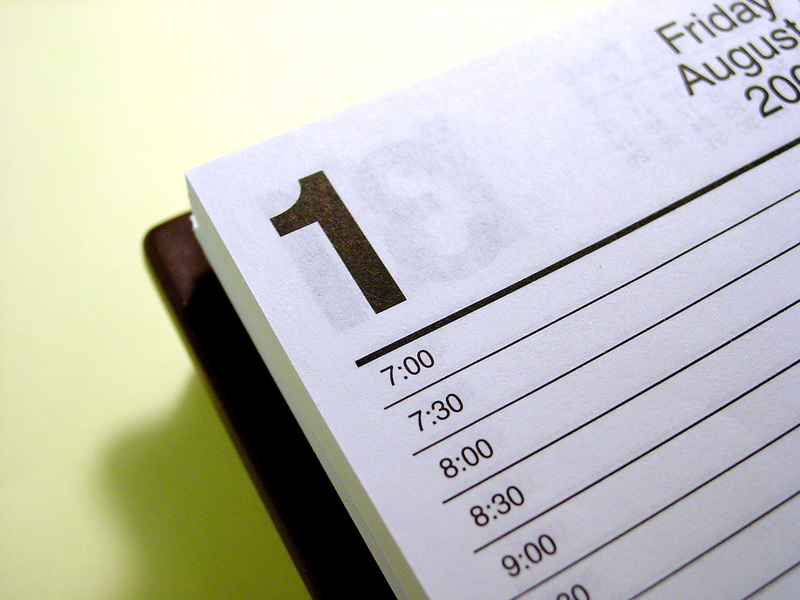 Let’s take the time to discuss how to schedule your sessions in a day. #1- You waste your valuable ON & ME time. #2- You’re not compensated for your work time and your clients don’t even know they’re getting ‘stuff for free’. There are a few variables we look at that dictate how you will structure your bookings. How many clients do you want to work with in 1 day? How many days a week do you want to see clients? How much time do you need/want in between client appointments that are back-to-back? How many breaks do you need/want and how long should they be between blocks of clients? How will you explain your service structure to potential clients? Many of the physical therapists, massage therapists, personal trainers and yoga instructors I coach are in a ‘dollar trade for time’ model, typically charging a rate for a chunk of time, possibly like you do. At it’s core, you’ll want to decide how to book clients based on what serves YOU and YOUR clients the best, not what other businesses do. What are you offering to your clients that has the value? Most practitioners believe they should ONLY charge for the time they are actually providing their main service, such as massage, hands-on therapy, exercise instruction, or yoga guidance. Many of you may not feel ‘right’ to charge for time spent discussing with your clients their therapy plan, or giving them suggestions for home care, because you believe your client is paying you for your actual therapy service. STOP IT! I advise you look at what the client is really paying you for, and this may be mind-blowing for you — but in most cases they are NOT paying you for your time, but instead, for the results you provide! So if your spoken advice, suggestions, and conversation helps them reach their goal, that time should be part of your session. Don’t offer your words of advice as a ‘throw-away’ after thought that’s given outside the therapy room or as they’re checking out. Imagine you’ve finished your session and as your client is paying, you casually say, “Oh, and by the way, I want to show you a stretch I think you should do at home …” The client takes the extra 5-10 minutes to learn what you want to show them, thinks it may or may not be good advice and doesn’t give it any much more thought. You’ve just taken more time from your day without getting compensated for it. You’ve also demonstrated the value of that stretch is not worth anything because it was an after-thought. I suggest you build that consult or advice-time into your session time, since it is still part of your session! I love author, Seth Godin’s quote, “Make an invisible service visible”… that refers to all the things you’re already doing that you’ve not been giving or doing for your clients but not charging for. Are you booking an hour but will only work with them for 50 minutes? Tell them! Are you booking an hour and will give them 60-minutes of session-time? Tell them! If you allow 5, 10, 15, 30 minutes between clients for yourself and not to be spent working with the last client, advise the client what to expect so there are no surprises and they don’t expect you to stand around chatting with them.I used to think I was doing a client a favor by “going over” and giving them extra time. I used to do it without first checking with them to be sure it was ok with them. Sometimes it was welcomed, but I also learned the hard way that I made some clients late for their next appointment, or they missed the train, or their kid was stuck in day care longer! My generosity actually was hurting them rather than helping them! This is often the biggest struggle for therapists to understand and grasp. Depending on the type of practice you have and the services you offer, you’ll need to be crystal clear on WHAT you’re selling. Are you selling time or results? Relaxation and pampering are more conducive to time-based structuring simply due to the fact most people don’t want to rush relaxation, although I’ll argue people like me do want to experience the benefits of reduced stress and if that can be accomplished in 15 minutes as opposed to an hour, I’m down for it! If you book appointments back-to-back and have the ability for the next client to wait in a comfortable area, they will see the client before and after them and that leads to a higher perceived level of success. The other reason I believe it’s more effective to book 3-4 back to back then take a bigger break for meals or rest, is because you get your momentum going and actually become more efficient! Once you get the swing of only having a few minutes in between, you’ll wonder why you didn’t do it sooner! Of course, if you DO need more time for physical or mental breaks, take what you need, I simply encourage a more streamlined process with less down time in the middle of blocks of 3-4 appointments when ever possible. That gives you the ability to get out of the office or spend time working ON your biz and not just IN it! Once you understand the strategy of booking your clients, you’ll be able to generate MORE revenue from FEWER clients! That means more time freedom for you! These are just a handful of tips on how to schedule your sessions. I’ve got more than a dozen more with subtle nuances that can literally take your practice from the $50k mark and catapult it to $80, $90, or $100+k a year. Feel free to continue the conversation by posting your comments below and share your experience of how you schedule your appointments. Love to hear your thoughts ~ Please share in the comments below! Previous Post Sexual Assault & Massage & Physical Therapists: What To Do To Protect Yourself Next Post Are You Poor or Abundant? Are You Really An IC or Employee?